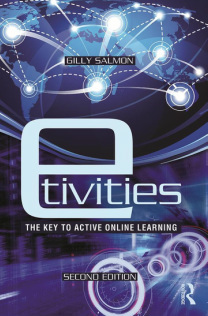 E-tivities are frameworks for enabling active and participative online learning by individuals and groups. E-tivities are important for the online teaching and learning world because they deploy useful, well-rehearsed principles and pedagogies for learning as well as your choice of networked technologies. They focus on the learners- the people I call the participants, who are contributing, providing, reworking, interpreting, combining most of the knowledge. They overturn the idea that learning depends on one big expert and his/her conveying of knowledge. They are based on the strong idea that knowledge is constructed by learners through and with others. a wide range of people, including those with disabilities who can be assisted through the technologies. The more diverse, the better the e-tivities work. everyone: e-tivities have attracted the interest of learning designers, academics, teachers and trainers from many sectors and levels of education. reusable and easy to try out, recycle, reuse and change: they improve the more they are deployed and adapted. incorporate sound pedagogical principles quickly into teaching and learning, including into large scale online approaches such as MOOCs (Massive Open Online Courses). 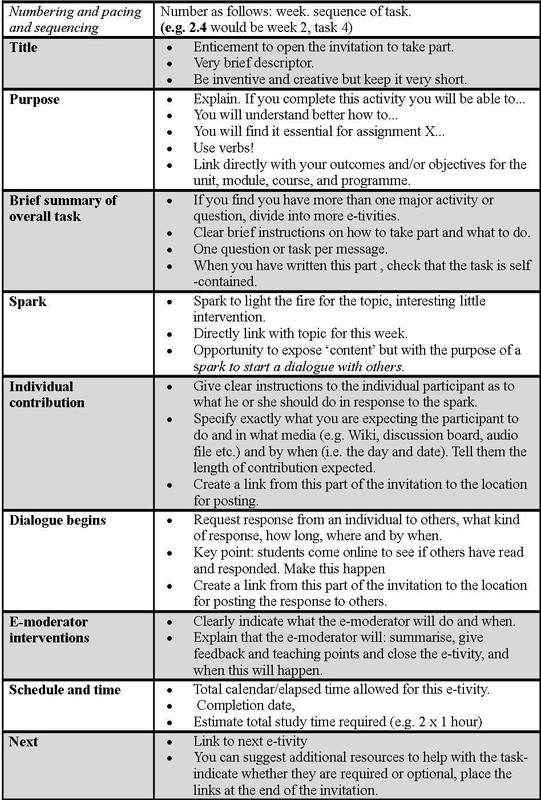 write it in a way so that it can be placed online and participants can follow it (the invitation).